Chris Ingrey is of Dharawal and Dhungutti descent, and one of three participants in Jawun’s 2017 Indigenous Corporate Leadership (ICL) program, a ‘reverse secondment’ of Indigenous leaders to leading corporate companies. As former CEO of La Perouse Local Aboriginal Land Council (LALC) and Co-Chair of Inner Sydney Empowered Communities (ISEC), Chris already had significant leadership experience through roles that had required him to represent his community. Chris’ key objective for the ICL program was to strengthen his capacity to engage with government, acknowledging how critical this is to achieving Indigenous-led development outcomes. To support this, Chris was seconded to Qantas’ Industry and International Affairs team based in Sydney. Chris also saw the importance of relationships, and built his own set of government relationships over the course of the secondment. As he put it, “To be able to access government you need the relationships, and I learned early on that I need to invest my time in maintaining those relationships”. To support his professional development, Qantas offered Chris participation in their three-day Qantas Insights and Leadership course. This, as well as immersion in the corporate context, supported Chris to consider how effective leaders manage large and pressing workloads and achieve clarity around strategic planning. Supported by his manager Damian Callachor (Head of Industry), Chris spent time discussing effective people and time management with his Qantas colleagues. Chris not only gained experience in influencing government, but also grew in other areas. In a post-program survey, he described an increased confidence from learning to work comfortably in a corporate setting, a renewed appreciation for Corporate Australia as a key ally for Indigenous people, and a significant expansion of personal and professional networks. Back in community, Chris returned to his role as Co-Chair of ISEC. ISEC Regional Director Eula Rohan described Chris as clearer in articulating what he wanted from government and stronger in shaping interactions to influence government around community goals. Chris also felt he was able to bring new confidence and strengthened communication skills to the role, as well as contacts. With ISEC seeking to re-shape the community’s engagement with government, Chris explained how important the new approach would be: “We do a lot of work with government. Where before we’d just do it, now we frame it as not just what we need to do for you but what you need to do for us. There are specific examples where we’ve negotiated better with government using this approach”. 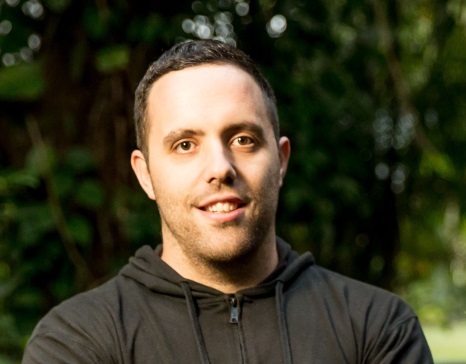 In his role as Co-Chair of ISEC, and in a post-ICL role with the Office of the Registrar Aboriginal Land Rights Act, Chris continued to develop his unique leadership style for the benefit of the Inner Sydney Indigenous community. He could see the community “changing dramatically” through infrastructure and business as well as services, and predicted a key role played by corporate Australia as well as government. Chris knew that within this, “we need them to understand what our values are as well as what our needs are, so that they are with us in a partnership rather than a client relationship”. The learnings from his time at ICL were due to come into good use. In May 2018, Chris returned to his role as CEO of La Perouse Local Aboriginal Land Council (LPALC). He has been there ever since, shaping a strengthened approach to engaging with government based on learnings from ICL. Chris remains the Co-Chair of ISEC. The experience at Qantas meant he could channel what he had learnt into, as he put it, “influencing the government to get behind the EC agenda, and to fund our priorities”. Chris coached his peers to apply the approach he had learnt, and together they did so at the highest levels. This included meetings with former Prime Minister Malcolm Turnbull and Minister for Indigenous Affairs Nigel Scullion. In mid-2018, government discussions were held around ISEC priorities, with successful outcomes. All Inner Sydney’s First Priority Agreements have been endorsed by the federal government, amounting to a prospective $2m of investment in Inner Sydney. Development applications are in, and the Mission Church restoration and aged care facility plans are well underway. Chris regards the last year as a ‘fast-tracking’ of ISEC, enabled by a strengthened engagement with government. After the success of Chris’ secondment, Qantas went on to host Ngarrindjeri leader Luke Trevorrow in the 2018 ICL cohort. In 2019, Qantas will become the first corporate partner to host three ICL secondments in three consecutive years. Melanie Herdman, a Yolngu leader from North East Arnhem Land, will join their Sydney team. Through this partnership, it is clear what strong two-way value such a unique ‘reverse secondment’ initiative offers. The ICL program will continue to provide opportunity for Indigenous leaders around the country to develop new skills and unique connections.